His former coaches think a major is realistic. I don't know if I have ever looked at the Major championship season with more excitement than this year. From products that redefine the lesson and leisure markets to golf clubs that are breaking the membership mould, these are (in no particular order) the innovations – and innovators – making golf better for tomorrow. It was an extraordinary Australian summer of golf for Jake McLeod. The North Queenslander rocketed from golf’s wilderness to having a European Tour card in the space of four weeks. 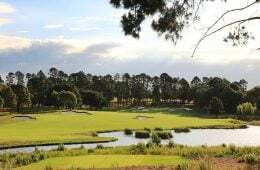 In our second report into the War On Golf, we found that more courses on Australia’s east coast are in a battle for survival from government, developers and rival sporting codes. Paradise found: Since its opening in 1992, Bonville Golf Resort has been a golf haven that leaves a lasting impression. Now on the comeback trail, John Senden has a renewed perspective. Our nation’s capital endures a challenging climate: searing heat in summer and bone-chilling cold in winter.